Timothy Henry is one of the co-founders of Conscious Capitalism. He’ll bring his philosophy of trusting, human workplaces to Meaning this year. Every year at Meaning there’s a sense in which we examine the history of ethical business and reflect on our own place within it. We recently had the pleasure of doing just that with Timothy Henry, who played a key part in the ‘conscious business’ movement, heralded in the early 2000s by figures such as Anita Roddick of The Body Shop, and John Mackey of Whole Foods. Eleven years ago, Timothy came together with John Mackey, Ray Sisodia and others to lay down the basic principles of the US-born Conscious Capitalism, a movement that has since made a significant impact on ethical business worldwide. One need only observe the history of Whole Foods in affecting a paradigm shift in organic retail, or the democratic business models of companies like Southwest Airlines and Zappos to notice how closely their story intertwines with Meaning’s core themes. 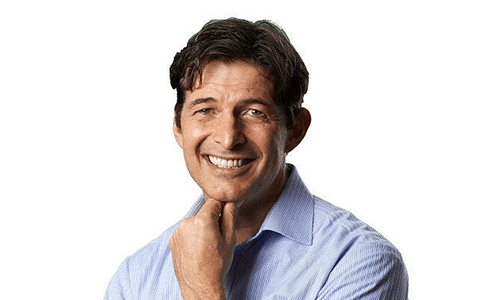 As one of the co-founders of the Conscious Capitalism movement, Timothy Henry has developed his own finely-tuned practice inspiring organisational purpose, and has recently relocated to London where he is co-CEO of the global consultancy Bridge Partnership. Also a co-writer of the recent publication Conscious Capitalism: A Field Guide, his practical and holistic approach to leadership makes him the perfect fit for our workshop schedule this year. In advance of the event, we felt it was only right to reflect on the journey he has taken to arrive at this point; over the course of a decade that has been so full of unexpected challenges and volatility. We began by asking Timothy what inspires his leadership philosophy in the face of industrial revolution 4.0. “My philosophy is simple – let’s have humans be at their best. I want you to be at your best, not mediocre, because you’ll get beaten by the machine if you’re mediocre! So let’s bring out the passion, the creativity – all of what it is to be human – and ask how we can better value the human qualities that distinguish us. Meaning is fundamental to this quest. We need to ask how we can create meaning through our work, as well as constantly improve the trust levels in our community. It’s all about being human and creating more human workplaces. 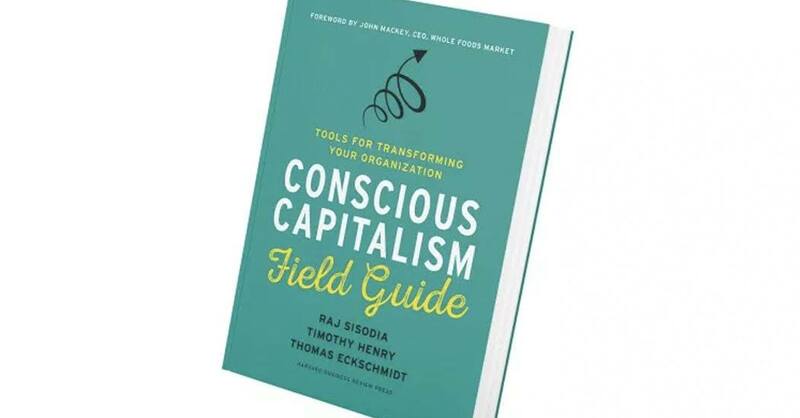 Timothy’s contribution to ‘Conscious Capitalism: a Field Guide’ takes many of the techniques he’s developed creating ‘more human workplaces’ and sets them out as part of a hands-on guide to working with businesses. But what does it look like in practice for an organisation to embark upon the journey towards a conscious culture? We asked him if he could share one essential technique that could be borrowed by a business of any size. We were interested to know how Timothy’s thinking had developed since the foundation of the Conscious Capitalism movement on four basic tenets: higher purpose, stakeholder integration, a caring culture and conscious leadership. Is there anything he would change if he were rewriting those values now? “Conscious Capitalism is not an excuse for not having a good business model and a good strategy. If your business model doesn’t make any sense, Conscious Capitalism isn’t going to save you. It’s like a human being who isn’t taking care of themselves, but meditates and thinks “Meditation will save me”. Our idea of wellness is much more inclusive than this – just like meditation won’t save someone with all these other habits; Conscious Capitalism won’t save a company that doesn’t have the fundamentals of running a good, sound business. It’s really important to think about how you align your strategy within the context of being a ‘conscious capitalist’ organisation. The business philosophy behind Conscious Capitalism is that purpose, culture and an integral approach to stakeholders are actually value creators – enabling trust, creativity and longevity in any enterprise. However, the question of consciousness still remains separate from the question of capitalism, and it is hard to have any conversation about ethical business these days without also critiquing the conditions in which we strive to realise our purpose. We asked Timothy where he stands on the discussion of capitalism’s tarnished reputation. “I think there is a whole debate going on around what I would call ‘crony capitalism’, where big corporations lobby government; and ‘casino capitalism’ on Wall Street for example, where people are essentially betting. In the face of these bigger global discussions, we focus on entrepreneurial capitalism. Every entrepreneur who has started a business starts it with a purpose, and has a reason and rationale for why they start their business. Money is a factor, but it’s not the main factor. Bill Gates didn’t set out to be the richest man in the world; he set out to see if he could take this massive computing power and put it on desks so everybody could have access to it. At its core, what he founded was “How do I make computing power available to everyone?” and that’s what motivated Microsoft to go through the whole desktop revolution and everything else. He may now be the richest man in the world, but we often forget that what he started with was a very clear purpose. Timothy has often spoken of the benefits of ‘servant leadership’ and has a noticeable ease in facilitating groups, holding the space through guided meditations in even conference settings. And it’s clear in his personal reflections of the early 2000s and the beginnings of the US conscious business movement, that there is deep conviction behind what he is doing. As for so many North Americans, it was the tragic events of 11 September 2001 that became a pivotal moment in Timothy’s story. At the time, he’d been working in a small start-up consultancy and four of his colleagues were scheduled to fly from Boston to LA that day. As it turned out, only two of them got on the flight that later hit the first of the Twin Towers. “No planes were flying, so I had two days to drive across the country – listening to the radio through all these small towns – and just be with the fact that my two colleagues were gone. One of them had just adopted a six month old baby from Korea, and three or four weeks before we’d had a party to welcome him. The other one had a daughter the same age as mine. Few events can cause you to question as seriously what track you are on. It gave me a greater sense of urgency around what difference am i trying to make in the world. There’s nothing like going to four memorial services in two weeks to drive home that life is really short and unpredictable. “I started looking at the progressive business models that were taking off at the time – employee shareholder ownership, the Great Place to Work movement, and Anita Roddick of the Body Shop with her ideas about body and soul and a different way of doing business. 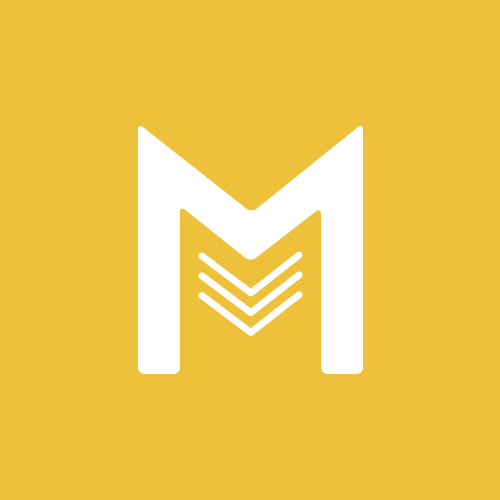 So, when in 2008 – only a few short years later – my friend Raj (Sisodia) invited me to a weekend retreat that John Mackey of Whole Foods was holding, I came out of it with real conviction that we should step up and do something. It was at that point that we began to organise the first CEO Summit of Conscious Capitalism, and that’s how it all began. Like many of us at Meaning, Timothy’s starting point is the ethos of ‘bringing your whole self to work’. This raises the consciousness or self-awareness of the workplace, enabling an environment of trust that grows the value of an organisation in terms of the things that really matter – creativity, adaptability and sustainable innovation. Timothy’s workshop at Meaning 2018 will include a step by step programme in how to embed just this kind of purpose across teams and organisations. He’ll conclude the session with a reflective discussion about the future of capitalism and how we can raise the consciousness of our business practices in the long-term. Join Timothy and his colleagues from Bridge Partnership at Meaning 2018 on 15 November to explore these ideas more fully.